If you are interested in working for the international organisations, this internship programme will provide you with a good opportunity to learn about the roles of them and how international meeting is organised. The World Organisation for Animal Health (OIE) is the intergovernmental organisation responsible for improving animal health worldwide and has a total of 182 Member Countries. 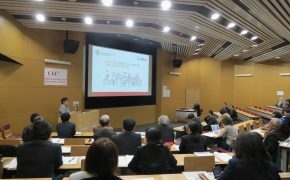 One of the central core of the OIE scientific expertise excellence is the global network of OIE Reference Centre (RC). An OIE Reference Centre is designated either as “OIE Reference Laboratory (RL)”, which is to function as a world reference centre of expertise on desgnated pathogens or diseases, and as “OIE Collaborating Centre (CC)”, which is to function as a world centre of research, expertise, standardisation of techniques and dissemination of knowledge on a speciality. In 2018, there are 51RLs and 24 CCs in the Asia-Pacific region. These RCs have been playing important roles for the improvement of animal health and welfare in the region. The OIE and the RCs must identify the challenges in performing activities and consider solutions to improve service. 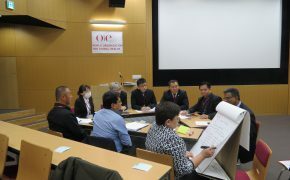 Therefore, the OIE RRAP is preparing to hold the Regional Meeting for OIE RCs in Asia and the Pacific on 12-13 March 2019 in Tokyo. 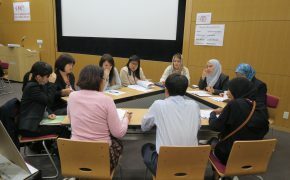 You can participate in the meeting as a observer and work as supporting staff for the meeting logistic. Score of English Proficiency Test equivalent to or more than TOEFL-iBT 85, TOEIC 750 or EIKEn Test in Practical English Proficiency Grade Pre-1. Within 10 days after the completion of the programme, interns are to submit a report in English up to 1,000 words consisting of 1) their own thoughts about the OIE activities and 2) lessons learnt from organising international meeting. 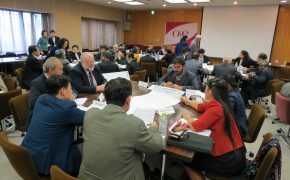 Interns are to learn about the role of OIE and how OIE international meetings are organised by participating the Regional Meeting for OIE Reference Centres in Asia and the Pacific on 12-13 March 2019 in Tokyo as secretariat staff as well as observers. In addition, interns will be given lectures on OIE activities by staff of OIE Regional Representation for Asia and the Pacific. Copyright 2019 VPcamp All Rights Reserved.